Golf is a sport rooted in honesty. Without a referee, umpire, or official watching every shot a player takes, the sport relies on its participants to call any infractions and make sure fair play is maintained. Students can visualize where various rules and etiquette could come into play on our 2-hole teaching aid. 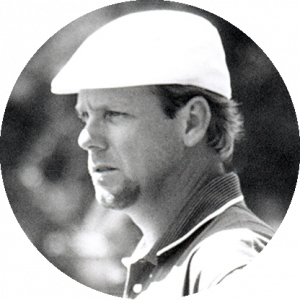 Perhaps more so than in any other sport, it’s important that both competitive and recreational golfers know the rules and etiquette before hitting the course. In the very first class, students learn the value of sportsmanship by beginning and ending each day with a handshake. From there, our coaches cover various rules such as penalty strokes for balls hit out of bounds, playing your ball as it lies, and raking your footsteps after playing out of a bunker (check out how the latter two points affected professional golfer Gary Woodland at the 2018 PGA Championship). TGA coaches also teach students how to keep score and count every shot, even if the outcome is less than desirable. Perseverance is a major character development theme that can benefit kids in more than just sports. Our coaches work to instill focus and hard work in daily activities and challenge the students with games that test everyone. As students transition from class to the golf course, it’s important they know how to treat the course and their playing partners. That includes fixing divots and ball marks, raking sand traps, waiting your turn to hit your shot and having an overall positive attitude. 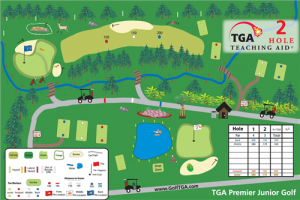 Learn about rules & etiqutte and other golf skills at a TGA program near you!